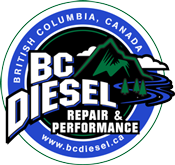 BC Diesel is proud to stock Bilstein Shocks at the best prices in Canada, guaranteed. Bilstein's 5100 series heavy duty steering damper replacement for 2008-2016 Ford Powerstroke 6.4L and 6.7L diesel trucks. 1 Front Bilstein 5100 Series Shock Absorber for 1999-2004 Ford 7.3/6.0L Powerstroke 4WD diesel trucks that are lifted 0-2.5" inches. Backed with an aftermarket lifetime warranty. 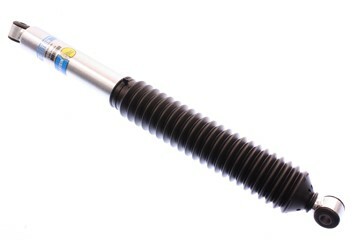 1 Front Bilstein 5100 Series Shock Absorber for 2005-2016 Ford 6.0/6.4/6.7L Powerstroke 4WD (F250/F350) diesel trucks. Backed with an aftermarket lifetime warranty. 1 Front Bilstein 5100 Series Shock Absorber for 2017-2018 Ford 6.7L Powerstroke 4WD (F250/F350) trucks that are lifted 2.00-2.25". Backed with an aftermarket lifetime warranty. Bilstein Shock Absorber Front - Ford 2017-2018 2-2.25"
1 Front Bilstein 5100 Series Shock Absorber for 2001-2010 GMC/Chevy 6.6L Duramax (LB7/LLY/LBZ/LMM) 4WD diesel trucks which are lifted 0-2" inches. Backed with an aftermarket lifetime warranty. 1 Front Bilstein 5100 Series Shock Absorber for 2011-2018 GMC Chevy Duramax 6.6L LML diesel trucks with a 0-1.5-inch lift. Backed with an aftermarket lifetime warranty. 1 Rear Bilstein 5100 Series Shock Absorber for 1999-2016 Ford 7.3/6.0/6.4/6.7L Powerstroke 4WD diesel trucks that are lifted 0-1" inch. Backed with an aftermarket lifetime warranty. 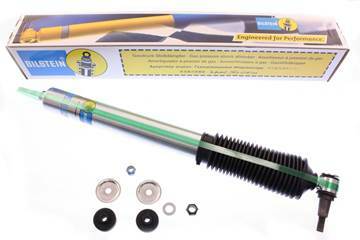 Bilstein Shock Absorber Rear - Ford 1999-2016 4WD 0-1"
1 Rear Bilstein 5100 Series Shock Absorber for your 1999-2016 Ford 7.3/6.0/6.4/6.7L Powerstroke 4WD diesel with a lift height of between 2-4". Backed with an aftermarket lifetime warranty. Bilstein Shock Absorber Rear - Ford 1999-2016 4WD 2-4"
1 Rear Bilstein 5100 Series Shock Absorber for 2001 - 2010 GMC/Chevy 6.6L Duramax (LB7/LLY/LBZ/LMM) 4WD trucks that are lifted 0-1" inch. Backed with an aftermarket lifetime warranty. 1 Rear Bilstein 5100 Series Shock Absorber for 2011-2018 GMC Chevy Duramax 6.6L diesel trucks with the LML or L5P engine with a stock-1.0" Lift. Backed with an aftermarket lifetime warranty. 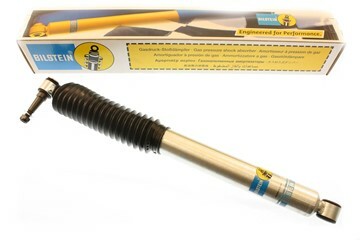 Bilstein 5100 Series Front shock for 2013-2018 Dodge Cummins 6.7L 4WD 3500 trucks that are lifted 2.00-2.25". 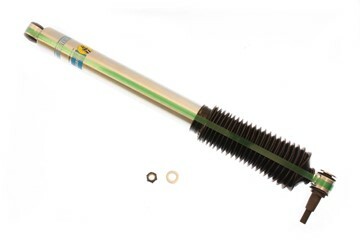 Bilstein 5100 Series Front shock for 2014-2018 Dodge Cummins 6.7L 4WD 2500 trucks that are lifted 2.00-2.25". Bilstein 5100 Series Rear shock for 2014-2018 Dodge Cummins 6.7L 4WD 2500/3500 trucks that are either stock height or lifted up to 1.0". Backed with an aftermarket lifetime warranty.